Inside The Market: Enel S.p.A. : chart framework. Here we have the chart of Enel S.p.A. : the stock broke the resistance at about EUR 4.50 (the previous maximums, yellow circles) and then, it broke the previous top at about EUR 4.90 (red circles). 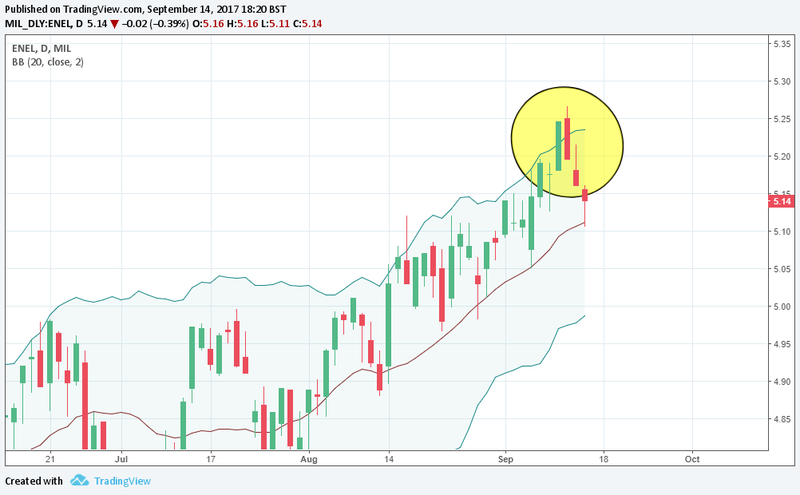 From a lateral trend (between 3.50 and 4.50), the stock began a bullish trend (still in progress) since the beginning of the year 2017. The bullish trend is highlighted with a blue parallel channel. We have another confirmation (also in the medium/long period) with the dashed line that is still valid. We can say that there is a clear bullish trend and unless conditions change, it will be confirmed : only with a break of the previous top (red circle) but mainly with a break of the tops at 4.50, there may be a change in the trend and consequently a test of the lateral trend area (abovementioned). 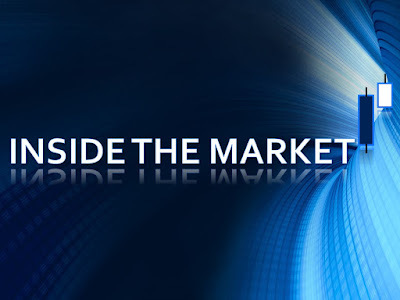 The change of the trend must be accompanied with high volumes, other patterns and other confirmations, in the following trading sessions, of course (at present, it is a bullish trend). The slope of the EMA (60 and 20) shows the uptrend, too. The RSI is not overbought but the values are in the neighborhood of the upper line. The bullish trend is strong but there are not nearly retracements. The uptrend needs a break (at least, in the short term). The FIBO retracements indentify the previous price levels (see the first chart and see the blue circles) of the past resistances. It is very important to focus on those to set a short or long trading strategy, even if the trend is bullish, clearly. 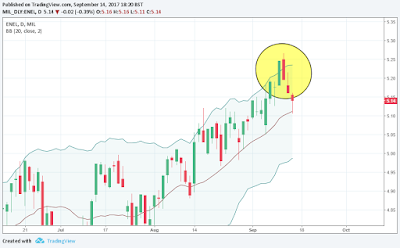 Analyzing the short-term, we can see that the BB show an high volatility, just after absorbed, with a candlesticks pattern, a Dark Cloud Cover. After a bullish trend, it is a bearish reversal signal. At now, it represents only a "volatility exhaust" and a price correction in the short-term. See the chart and the following pattern recognition. 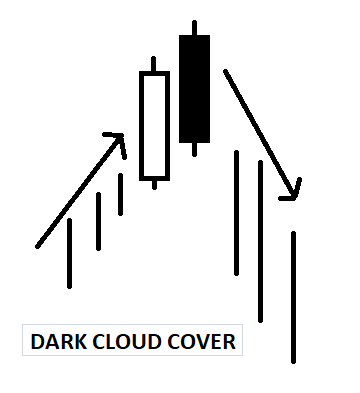 A Dark Cloud Cover consists of two candles (white and black) : the black one has the opening price higher than the top of the white one and the closing price lower than the median value of the real body of the white one. As usual, we need a confirmation (a bearish candle after the black candle and a continuation in the trend change). The top of the black candle represents a resistance.